According to Google Translate, ‘cada día’ is Spanish for ‘every day’. I’m building a custom bike, but this is Motorcycle Sport & Leisure – you and I ride our bikes. Every day if we can. 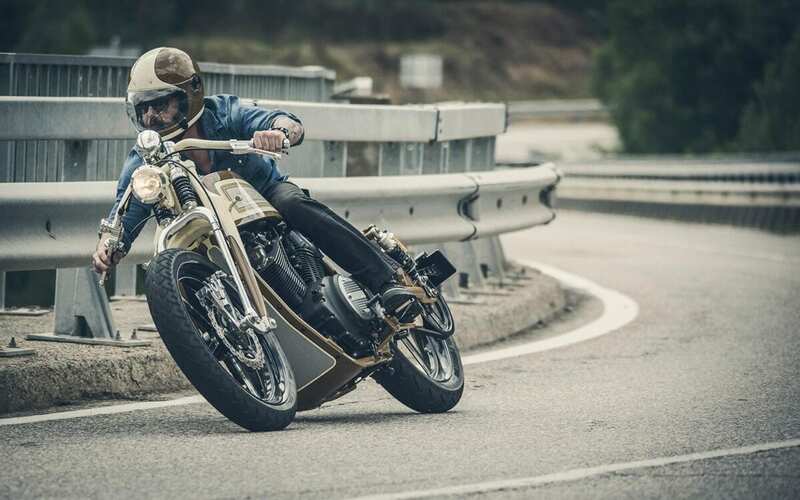 In June, I’ll be riding Cada Día to the Wheels and Waves custom bike festival in Biarritz. In French, it’s ‘tous les jours’, which isn’t as catchy, but Biarritz is close to Spain, and I was inspired to do this by Anthony Partridge – a guy born in Britain, who grew up in Canada and now builds custom bikes in Spain. Regular readers will remember that I rode an XJR1300 across Spain with Yamaha last year to visit Wheels and Waves. I was expecting a flouncy show full of hipsters prancing around bikes that were as practical as a chocolate teapot. What I got was people like Anthony, thrashing the hell out of motorcycles like ‘Playa del Ray’ – the machine he and his colleagues built for Yamaha’s Yard Built Project, which showcases the custom potential of the Japanese brand. Anthony Partridge on his Yard Built XV950. Whilst there, I asked Jeff Turner – Yamaha UK’s marketing manager – if I could build a custom MT-07 for MSL. He said yes, but then things went quiet. What he couldn’t tell me was that Shinya Kimura’s ‘Faster Son’ Yard Built project, which the famous Japanese customizer displayed and raced at the event, would lead to the production XSR700 that’s now sitting in my garage. Jeff had rightly assumed that the XSR would make an even better base for my project than the MT-07 on which it’s based. 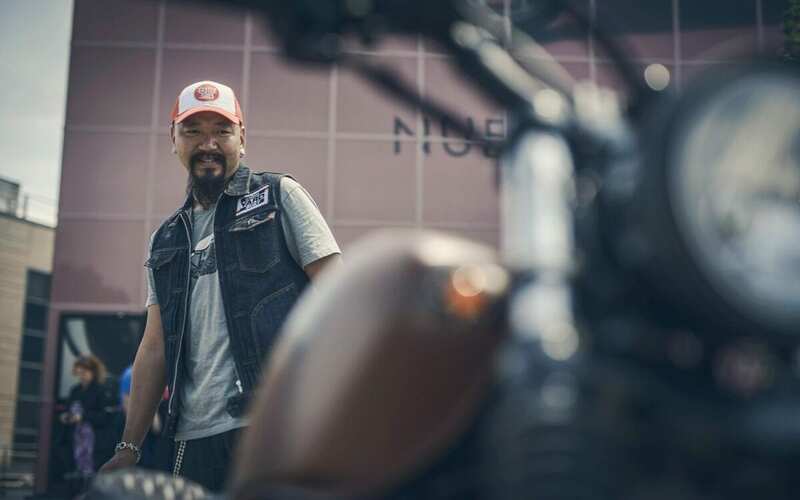 The Yard Built programme not only gives Shun Miyazawa – Yamaha Europe’s product manager, and the man behind Yard Built – the chance to get the world’s top custom builders showcasing Yamaha bikes, but it helps the company tweak future machines , making them easier to modify. It’s not a shallow gesture that gives a greater revenue stream in the form of parts and accessories (though with profit margins on bikes getting ever smaller, who could blame manufacturers?) – it’s been happening for years. From race pipes and small indicators, through desert-friendly luggage and spotlights; as the most popular bikes have changed, so have the bits owners have wanted to bolt on to personalise them. 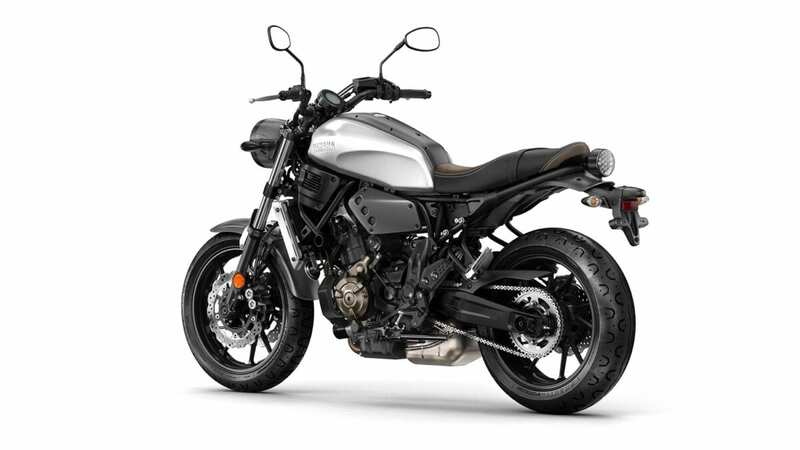 We’re seeing an explosion in the street bike market now – Ducati’s Scrambler has been a huge success, and naked bikes as a whole are selling incredibly well. Importantly, they’re also bringing in a younger audience. There’s nothing wrong with us older riders of course, but seeing the under 30s taking an interest in bikes again has got to be A Very Good Thing. But homologation across Europe is getting tighter – in Spain, if a bike doesn’t match the image a tester calls up, it won’t pass its version of the MoT. Modifications need to be reversible, in much the same way as some – ahem – might have used to swap exhausts before going to the testing station, many European authorities will take a dim view on modified headlights and repositioned number-plates. And so here begins Cada Día. “Do whatever you want,” Jeff told me. “Just don’t cut or weld the frame.” I want the bike to look cool, but I want it to be practical. I want to build something that gets attention in itself, not in the way I hobble off it after a few miles. I want to be able to carry enough pairs of pants to get me from Lincolnshire to Biarritz. I love the look of knobbly tyres on machines like this, but I want it to handle on the Tarmac. But most of all, I want to build something achievable. The XSR is incredible value for money, so why would I spend tens of thousands of pounds changing it? Sure, I do plan on fitting spoked wheels and a high-level pipe – those won’t be cheap. But it’s important to me that you look at this bike, see at least one thing and think “I like that, I want to do it.” And that means keeping it real, not using my contacts to get a totally unrepeatable build. I plan to fit readily available accessories to build Cada Día. I might have to machine the odd spacer, or tweak the footrest hangers, but I promise to do as much as possible myself. 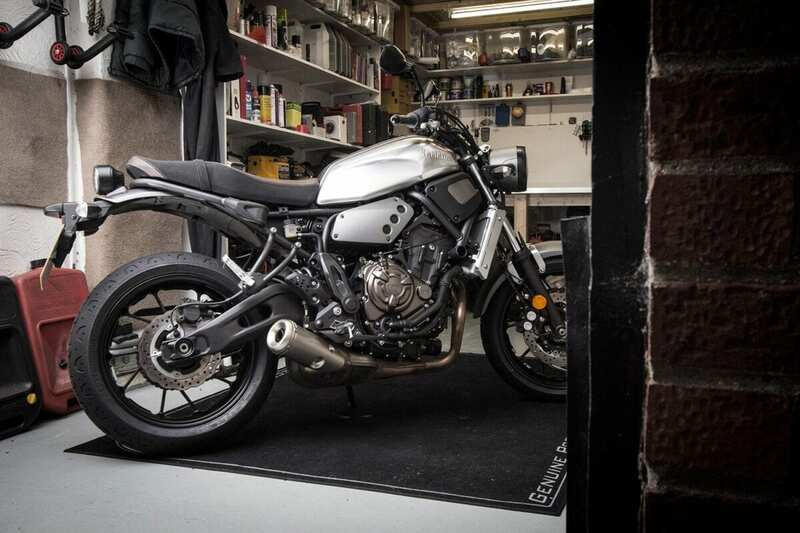 Whether it’s a success, you can judge for yourself as you see the build progress each month, and when you visit Motorcycle Live this year, where the finished bike will – if all goes to plan – be on display. Modifications: Yamaha billet chain adjusters. General impressions: I’ve only ridden it up the road briefly so far, but it’s lively, fun and full of potential.